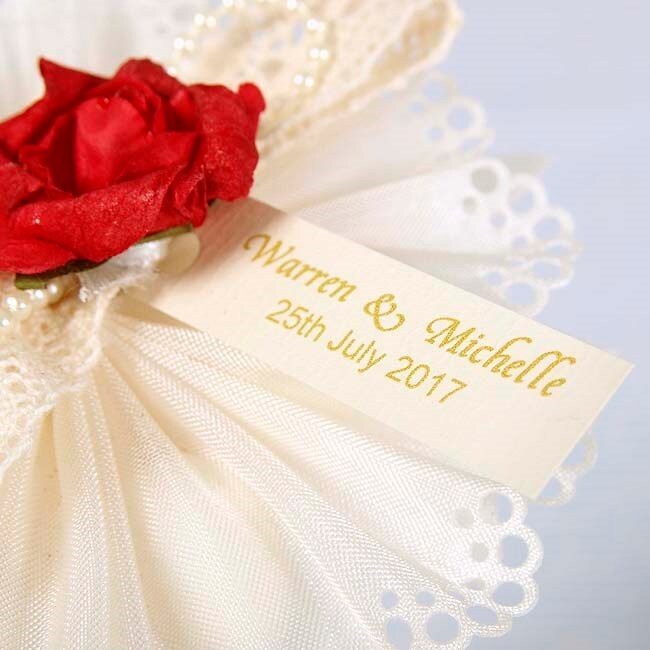 Our personalised tags are a beautiful addition to any favour or gift for a wedding or special occasion. Sold in packs of 20. 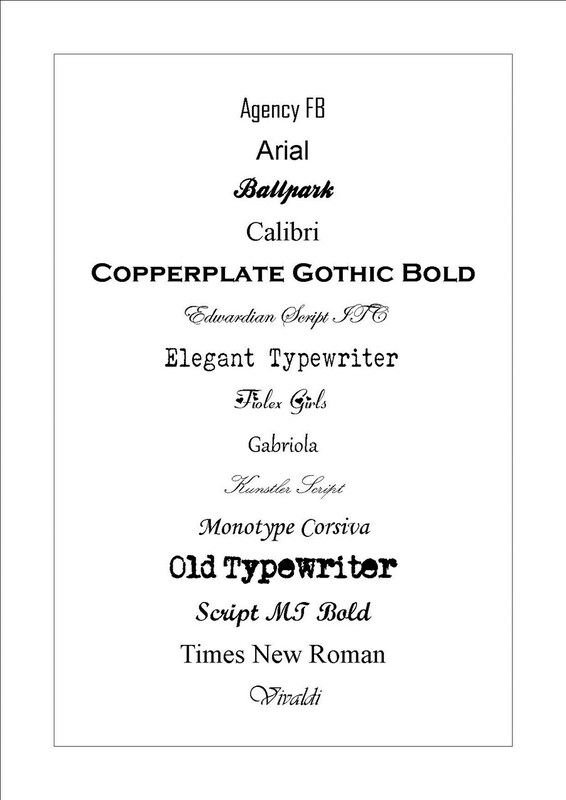 The text is available in 15 different fonts, if there is a particular font you'd like that is not shown on the list please don't hesitate to contact us and we'll let you know if the font you require is available. 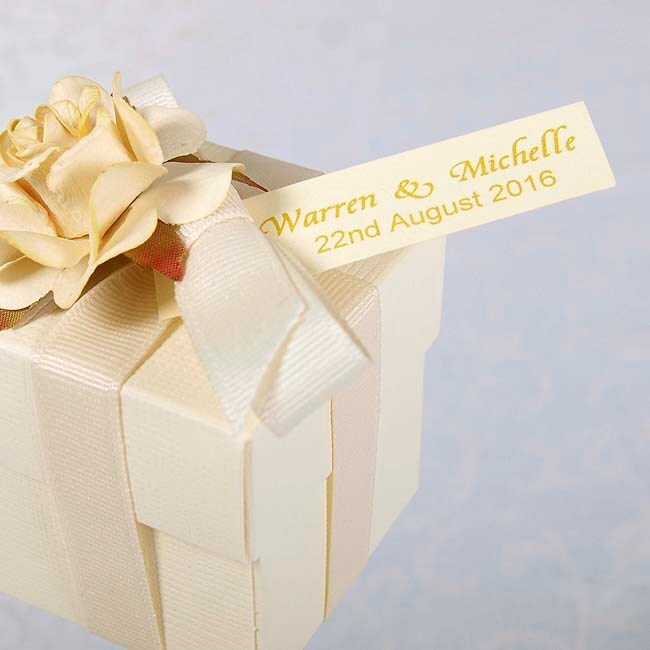 Please note we can add a third line for a venue or special occasion (Golden Anniversary/Christening), although this can make the text difficult to read, again please contact us and we'll happily offer our advise. 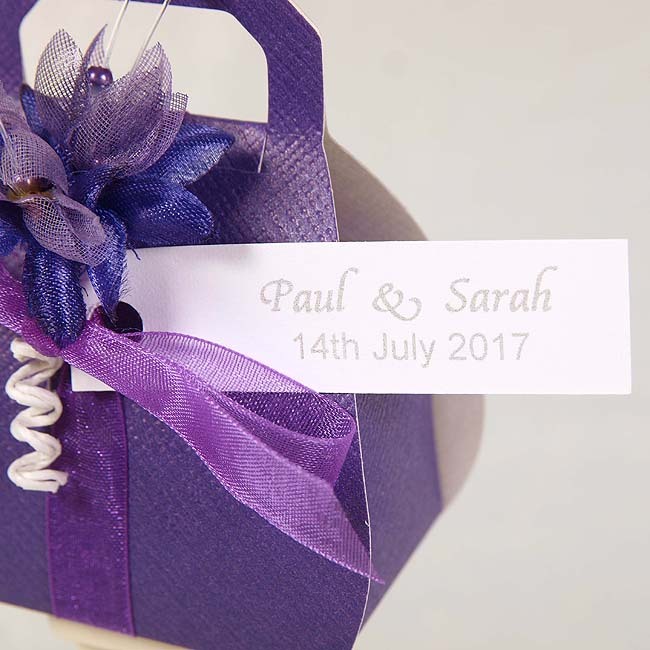 Personalised tags can only be attached to ready-made favours that have ribbons in their design. Exclusions include top hats, tuxedos and some of our childrens ranges. Personalised tags may add a further 7 - 10 days to our standard delivery times. 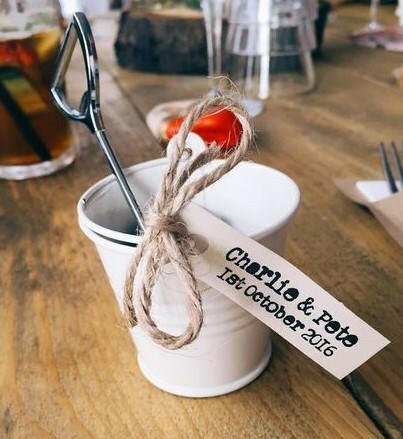 We do not attach personalised tags to items from our DIY ranges.